News clippings of reports of deaths from political violence cluster to the left. 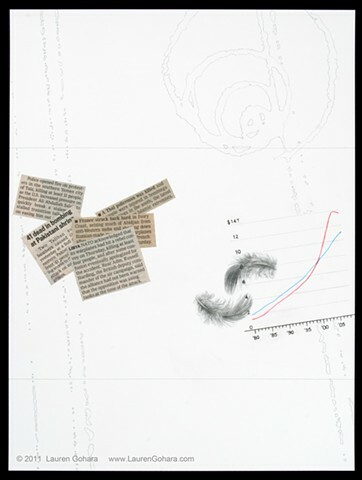 Feathers rendered in graphite float through a graph plotting the change in household debt in trillions (red line) vs. the change in disposable income (blue line). of a basswood leaf. Particle physics tracks race through in the background.